Introduction: Efficient melting of metal requires a simple, but well designed, easy to operate melting furnace called hobby crucible furnace. A well-designed furnace does not necessarily mean it will be expensive to build, or that it is complicated to construct and operate. If you're just beginning your metal casting journey, there will be a multitude of questions that will need to be answered; and if you follow some simple methods, your learning curve will be dramatically reduced. A well-built hobby furnace will take you another step along the path to being able to maintain an important piece of equipment for your hobby foundry set up. Without an efficient furnace your hobby metal casting experience could well be one of total frustration & disappointment. How to build a Hobby Crucible Furnace? It is possible to build a furnace from scrap materials found around the workshop. This is not to say that it will look trashy, or poorly made, the point being made here is that you do not need to build everything from new materials. 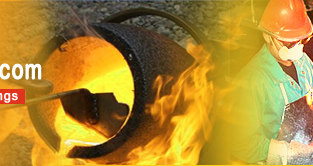 The only material you will need to buy is the special high temperature resistant refractory to line the furnace walls with, plus a few brass connectors from the local plumber for the gas feed line and some brass rod to custom-make your own special gas jet for the burner. The rest you can quite easily make yourself if you have metal working skills. One of the biggest problems the hobby crucible foundry worker has to overcome, is to acquire the knowledge to build a high-energy output burner, the subject of burners can raise many arguments amongst hobby foundry workers, and there is a straightforward solution to building an efficient burner, by following simple instructions any practical person can fabricate an efficient burner that will quickly melt metals such as aluminium and bronze without effort. The process to build a high output furnace burner is really quite simple, but there are a few small parts that need to be machined on a lathe. Although, many hobby foundry workers do own a metal lathe these days, it is almost a must have for the average home engineer in this ever-increasing DIY age. Be very careful with your gas pipe & joint connections, although there are no great line pressures involved with the gas feed to the burner, but any small leak could lead to the possibility of a dangerous explosion. Propane gas expands between sixty and one hundred times once exposed to air. So be aware, gas is the most efficient fuel you can use to fire a hobby crucible furnace, but it can also be an extremely dangerous material. You need to follow any building instructions carefully and not be tempted to take any shortcuts as they may lead to personal injury. 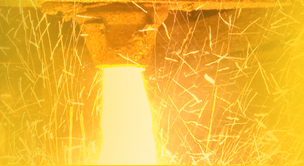 Contact us to buy or for more information on hobby crucible furnace, hobby furnace, hobby foundries used in metal casting.